Escalating their war against medical marijuana in California, federal officials now will try to put a lid on newspaper, radio, and other media advertising of medical marijuana. U.S. Attorney Laura E. Duffy, whose district includes Imperial and San Diego counties, is leading the effort. Federal law prohibits placement of ads for illegal drugs, including marijuana, in “any newspaper, magazine, handbill or other publication.” The law could conceivably extend to online ads, and may be prosecuted retroactively, authorities said. U.S. authorities recently started an aggressive and visible crackdown on medical marijuana facilities, with emphasis on Southern California dispensaries, by threatening their landlords and property owners with prosecution and property seizures. The move against carriers of so-called “illegal” advertising is gaining traction. In August, Google agreed to pay a $500 million settlement for accepting illegal advertisements from online Canadian pharmacies. California and six other states allow medical marijuana to be distributed in dispensaries. As long as the states keep drinking the government KOOL-AID (MONEY) their will be no states rights. Duffy’s a fraud trying to look like she really gives a F&^% about the topic to keep her fluff high paying job. Look @ her facial expression. Oh, she’s sooo into her job and concerned. Transparenat as hell. Weed is and always has been the “stop and think drug”. It spawned the 60’s re-evaluation of society. The Feds sure as hell don’t want that., but it’s “on” now anyway. The Genie’s outa the bottle…hopefully. The Feds: Weed? Baaaad. Mass murder for profit, other’s resources and protection of Israel? Gooood. If ordinary Americans could grow a little marijuana in their own back yards, it would be about as valuable as home-grown tomatoes. Let’s put the criminals out of business and get them out of our neighborhoods. Let’s let ordinary Americans grow a little marijuana in their own back yards. The current proposal before Congress, bill HR 2306, will allow states to decide how they will regulate marijuana. You can email your Congressperson and Senators at http://www.usa.gov/Contact/Elected.shtml to discuss HR 2306. It is always comical to watch the extreme left and right swap sides depending on the issue. In the case of all drugs, legal and illegal, these are regulated by the federal government, not state or local governments. So, when some states wanted to ban birth control pills the people on the right claimed it is a state right and the feds should stay out of it. Of course the left pushed to have the feds move in and block the states from banning birth control pills. Birth control pills are a drug, are federally regulated and the feds prevailed, much to the delight of the left and upset of the right. Now, with medical marijuana the left and right have changed sides. The left claims this is a state right and wants the feds to stay out of it. 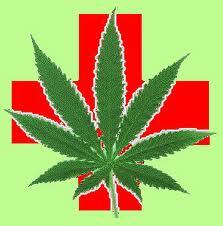 The right wants the feds coming in and blocking medical marijuana sales. Of course marijuana is a drug and is federally regulated. The fact California voted to make it legal is meaningless and the feds are blocking the sale in California much to the delight of the right and upset of the left. You people on the extreme left and right are all just as guilty as the politicians for flip-flopping when it is in your personal interest. Can you think of any other major flip-flops of the left and the right?